It is hard to believe that here is in Shinjuku, one of the busiest city of Japan. 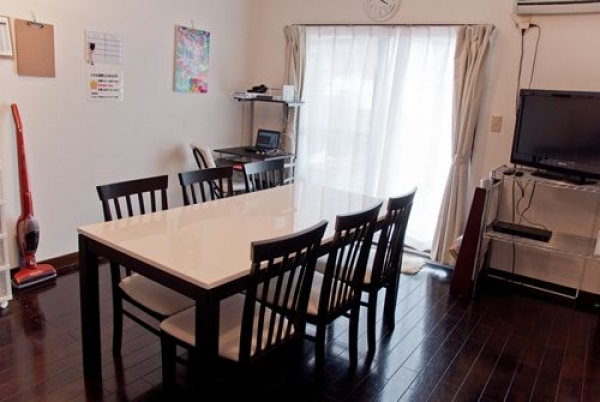 An ideal sharehouse “XROSS Nakaosakaue 1” is located in a quiet corner of a residential area, providing rooms for just limited number of residents. From the rooftop terrace, you can view Shinjuku’s skyscrapers, a symbolic scenery of Tokyo city. An exciting new life is guaranteed here, enjoy your free time under the sun or night sky. The interior is overall simple and natural, but there are some fun accents here and there. It may be pop-art pictures on the walls or the bright colored kitchen that makes the residents living here so cheerful and lively. 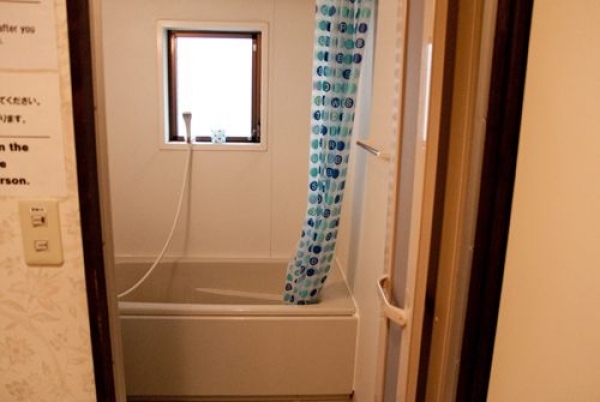 This is a sharehouse so you are going to share the lounge, kitchen and bathrooms with house mates. By sharing a house, you will get to know your house mates better, and that will make you look forward to coming home everyday. This house offers 3 types of share rooms, including female-only rooms, for attractive rent prices. All rooms have been newly renovated and are fully furnished. There is plenty of space in each room. 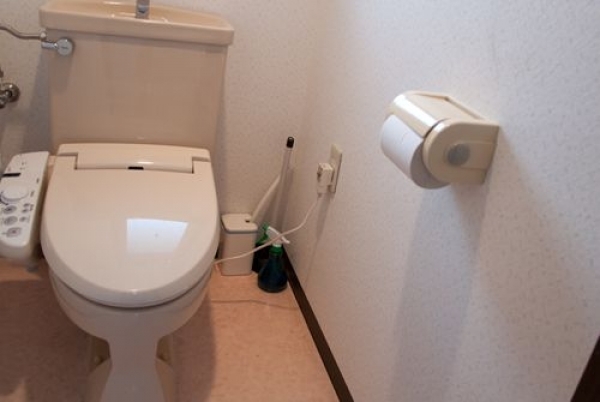 Of course, TV, computer, washing machine and other major appliances are placed in the public areas. There are two bathrooms with shower and two toilets, so house mates hardly have any delay even in the busiest time of a day. It is just 4-minutes train ride to Shinjuku. 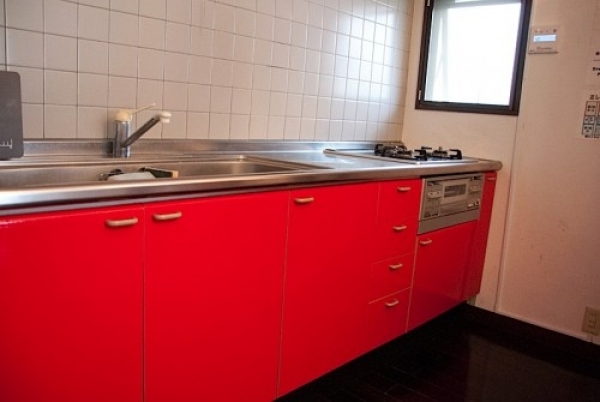 This is an incredibly great deal considering the location and the rent price! What’s more, bills are included in monthly rents. Tempting, isn’t it? The rooms are in high demand so hurry to apply. 10 minutes walk from Nakanosakaue Station. 10 minutes walk from Okubo Station. 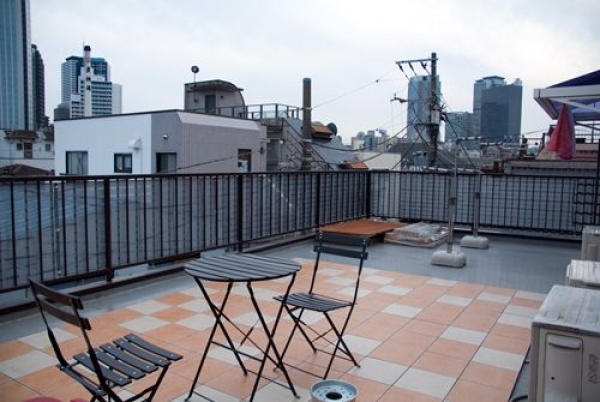 11 minutes walk from Nishi-Shinjyuku Station. 14 minutes walk from Higashi-Nakano Station.